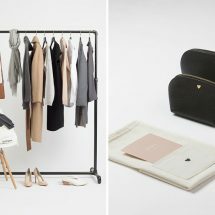 To benefit the non-profit partners at H.E.A.R.T., Cuyana is reaching out to their Boston customers to donate professional clothing that you no longer need to the Lean Closet movement. 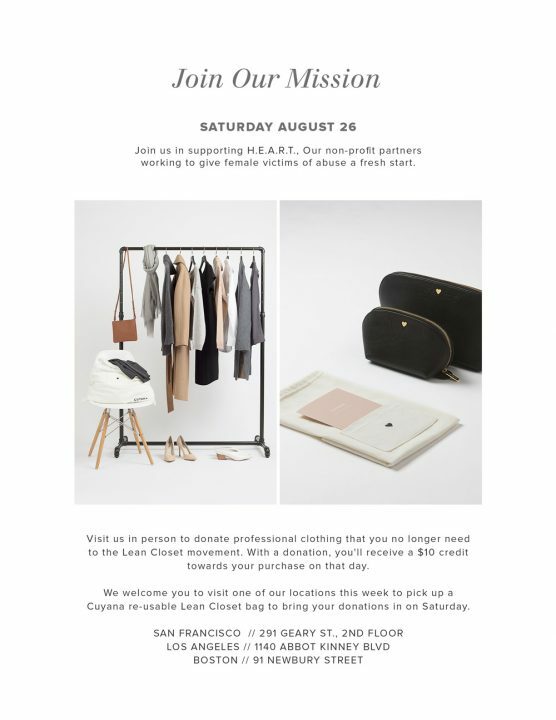 You can stop by any time this week to pick up a Cuyana re-usable Lean Closet bag and bring back with your donations on Saturday, August 26 and receive a $10 credit for any purchase that day. H.E.A.R.T. is a source for everything that victims of abuse need in order to help them heal. It is run by a group of women who have made the choice to commit whatever resources they can to providing for victimized children and the people that are trying to keep them safe. Cuyana Boston is located at 91 Newbury Street, next door to Thinking Cup, below Patrice Vinci Salon.